EN/IEC 62061 represents a sector-specific standard under IEC 61508. It describes the implementation of safety-related electrical control systems on machinery and examines the overall lifecycle from the concept phase through to decommissioning. In contrast to EN 61508, EN IEC is published in the Official Journal of the EU as a harmonised standard under the Machinery Directive. As such, presumption of conformity applies for this standard. EN 62061 addresses the issue of risk assessment using a risk graph, which in this case is in the form of a table. It also deals with the validation of safety functions based on structural and statistical methods. As with EN 13849-1, the objective is to establish the suitability of safety measures to reduce risks. Even with this standard, extensive calculations are required. We can significantly reduce the work involved with our software package PAScal Safety Calculator. Simply download the calculation tool free of charge or use the Safety app PASmsi. What is risk assessment like in accordance with EN 62061? Risk assessment is an iterative process. This means it may be necessary to go through the process more than once. The risk must be estimated and the SIL defined for each hazard on which the risk is to be reduced through control measures. * If the duration is less than 10 min, the value can be rounded down to the next level. The SIL is determined using the following table. The class (Cl) is calculated as follows Cl = Fr + Pr + Av. Which requirements need to be considered? 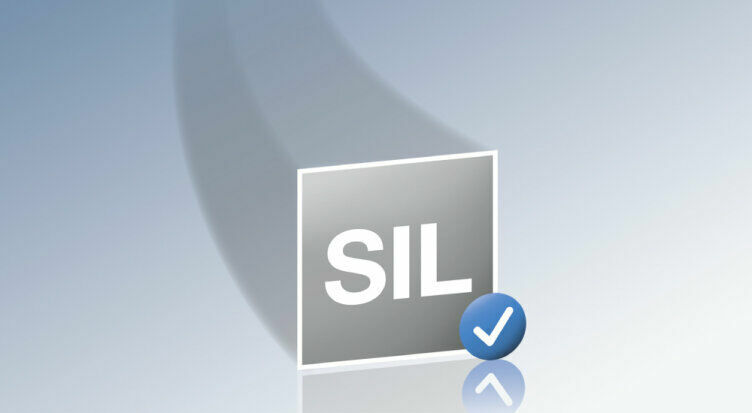 The SIL that is achieved by the SRECS (Safety-Related Electrical Control System) due to architectural constraints is less than or equal to the lowest SILCL of any system involved in performing the safety function. The architecture of the control system and the "safe failure fraction" (SFF) play an important role here. The probability of a dangerous failure of each safety-related control function (SRCF) as a result of dangerous random hardware failures shall be equal to or less than the failure threshold value defined in the specification of the safety requirements. Why not try out our free calculation tool (PAScal), which you can use to determine the relevant characteristic values with ease. The standard EN IEC 61511 defines the minimum requirements of safety-related systems in the process industry. It is based on IEC 61508, but has been tailored to the process industry. Safety-related systems have been used for safety-related functions within the process industry for many years. To use process control technology for safety functions effectively, it must fulfil certain minimum requirements and performance levels. EN IEC 61511 requires that a hazard and risk analysis is carried out. The specification of safety-related systems is to be derived from this analysis. Other safety systems are only considered in terms of their contribution when examining the performance requirement of the safety-related systems. The safety system constitutes all components and subsystems necessary for carrying out safety-related functions, from sensors to actuators. The “safety life cycle” and the “safety integrity level” (SIL) form the basis for the application of this international standard. The safety-related systems considered in the standard are based on electrical (E) /, electronic (E) / and programmable electronic (PE) technology. If other technologies are used to implement logic control systems, the fundamental principles of this standard should be applied accordingly. This standard also considers the sensors and actuators on safety-related systems, irrespective of the technology with which they are designed. Within the scope of IEC 61508, the standard IEC 61511 is tailored exactly to the process industry.